I must visit at least one new country if I make the whole trek across the pond. I managed to do that in 2008 to visit Greece, in 2010, I checked Hungary and the Czech Republic off the list. For 2012, Jill and I received American Airline miles from our parents so we could afford to attend our first Travel Bloggers Unite conference in Umbria. Since I have been to Italy twice before, I wanted to make sure to visit that one other country. Portugal had been on my list for a long time, but this seemed like the perfect time to finally visit. What's usually the case when booking award tickets, the airports you want to land in aren't available, so you have to get creative. Unfortunately, when it comes to available flights into Lisbon from the States, there really aren't very many award options. We managed to use our flights to get us to Madrid and from there we booked EasyJet flights into Lisbon and then onto Rome for the conference. On top of the free tickets from my parents, I ended up using some of my American Express points to book a room for Jill , Amber and me at Hotel Jorge V, a quaint three star hotel centered in the perfect part of town. Upon arriving at our hotel in Lisbon, I was pleasantly surprised from the very beginning and in my short three day trip, I absolutely fell in love with this new-found country. Yes, I am an American tourist , and yes, I have actively participated in a Globus Bus tour of Europe with my Great Aunt Lu along with the rest of my family. We visited every must-see tourist destination in Europe when I was an awkward fourteen-year-old. It was great for what it was, but nothing is worse than getting stuck around large groups of old people, especially when you're not a part of the group. So with that being said, Lisbon was pleasantly devoid of this. 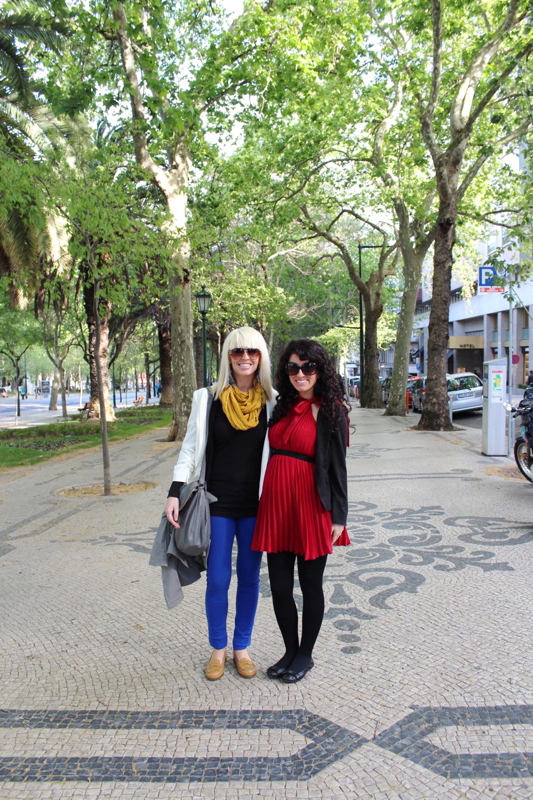 One reason being, in theory, like many American students, I didn't know much about Lisbon and Portugal in general. Our World History books covered a lot of European history, but Lisbon was glaringly missing from the text. In reality, this has turned out to be a good thing for some. 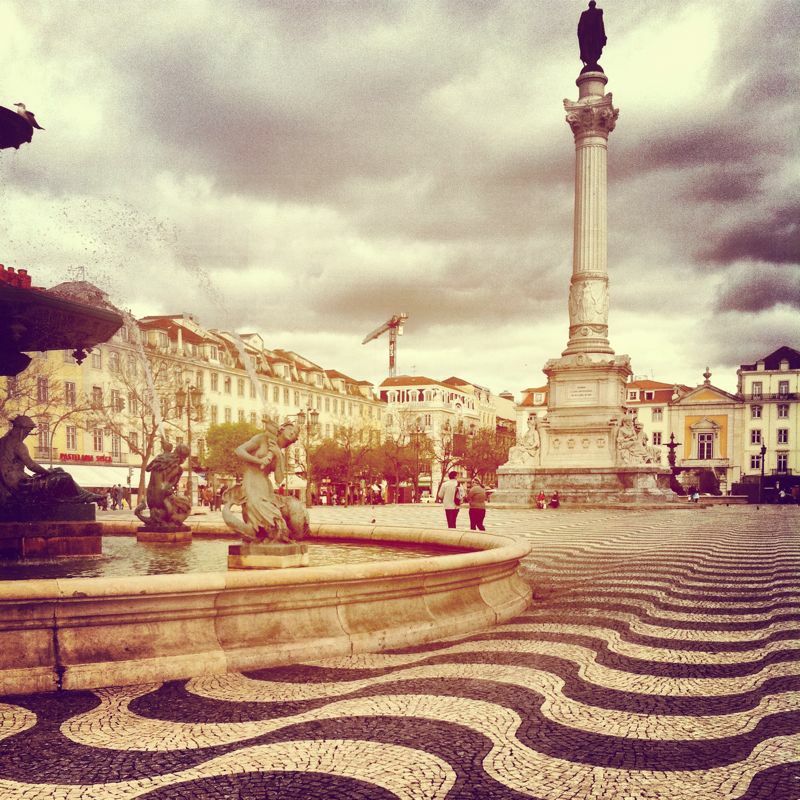 Portugal is one of the last few frontiers of Western Europe when it comes to American tourism. And we all know that American tourism does not get the best rap when it comes to traveling abroad. Needless to say, we hardly saw those annoying hoards of group tours and we didn't see anyone carrying an umbrella or some obnoxious stick leading a crowd around. A win for us! 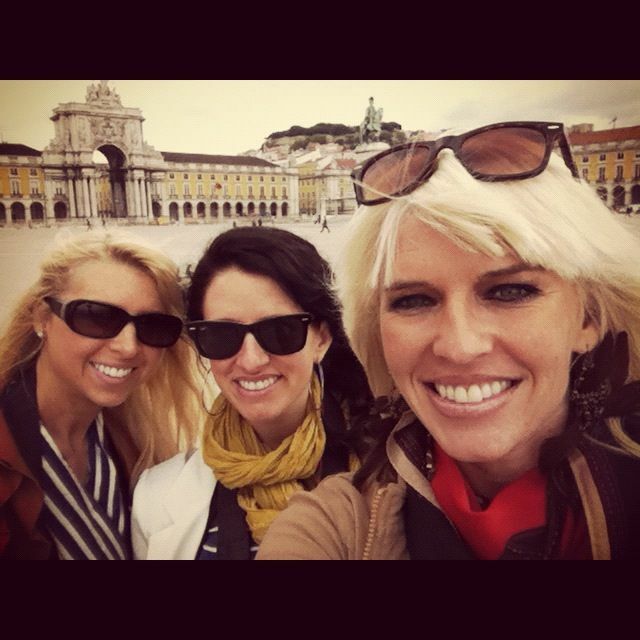 From our cab driver to random strangers on the street, the natives of Lisbon went above and beyond any other European country in terms of hospitality. True, they are in a movement to gain more tourism, but they are doing a wonderful job of making a great first impression to visitors. Both men and women went out of their way to help us if we seemed lost, or they were eager to recommend their favorite restaurant or bar. I tasted my first sip of Portugal's famous "green" wine while I was in Florida at one of my favorite restaurants, Seasons 52. The brand was Aveleda and I immediately fell in love with the subtle carbonation of this light table wine. I was more than excited to get to try it in the country it is produced, and I was not disappointed. What is even better about Portugal is that a bottle at a restaurant was very reasonably priced. One upper-scale restaurant listed Vinho Verde as 12 Euro... a great deal anywhere! I was in cheap-wine heaven. Lisbon is set on very steep terrain overlooking the mighty Tagus River that feeds into the Atlantic Ocean- a great setting for any city. 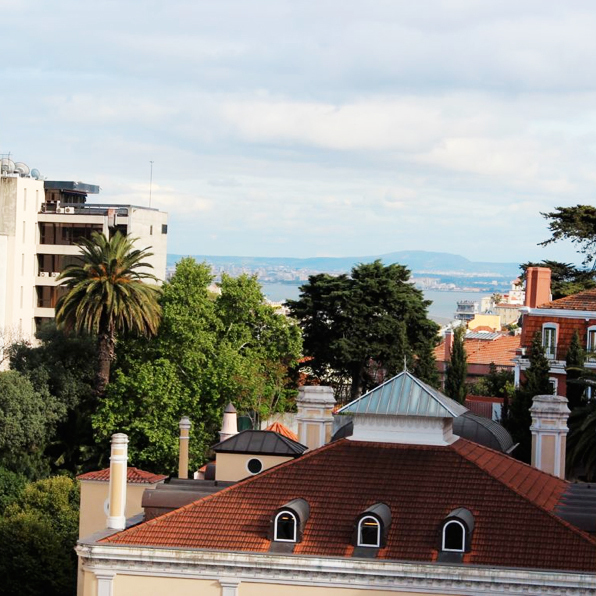 Legend has it that Lisbon is built on seven hills, but they are very hard to distinguish when you're in the midst of it all. The most important fact to note is that there are MANY hills. If you're looking for exercise while walking, you've come to the right place. Because of its steep terrain, the views from the top are absolutely stunning. Think of San Francisco with a Portuguese accent. 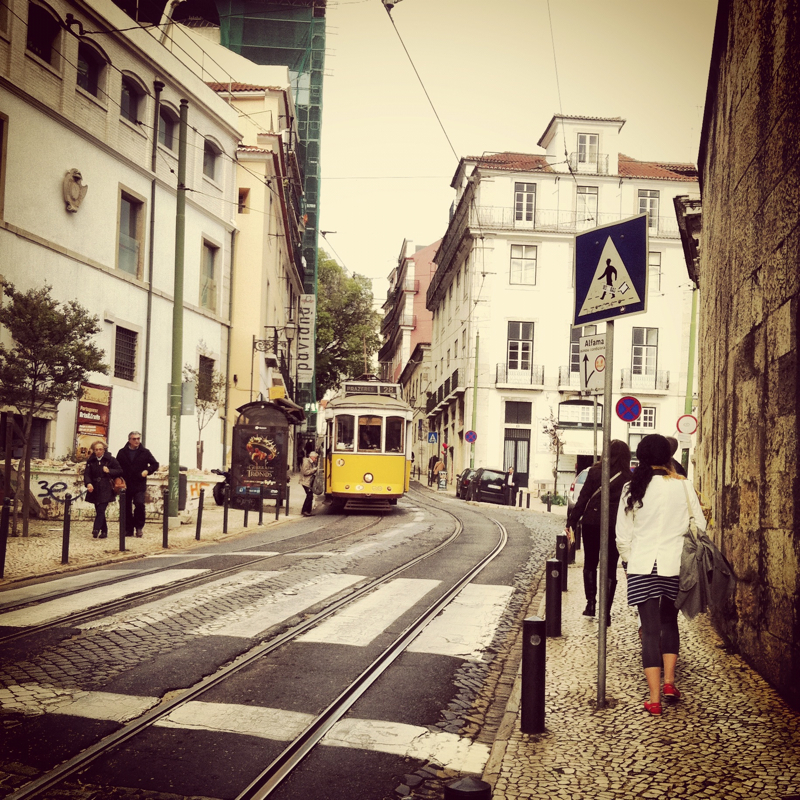 Because of the glorious hills, Lisbon also offers creative options if you prefer not to scale the inclines on foot. Several streetcars take you to your lofty destination or try a few of the "elevators" or lifts. A very popular lift, dating back to 1902, called the Santa Justa Elevator, ascends vertically in dramatic fashion over 145 feet from the Rua de Santa Justa in the Baixa area of central Lisbon to the Chiado district. Another option to try are the funiculars which started operating in 1885. The Elevador de Gloria near our accommodations, Hotel Jorge V, whisks patrons up a 30 degree incline to the top of the nearby hill of the Bairro Alto. All of the above services are controlled by Carris, which operates Lisbon's bus and tram services. Cristiano Ronaldo is from Portugal, need I say more? We were lucky enough to see his face plastered on several billboards and posters around town, since he is the face of a popular Portuguese bank called Banco Espirito Santo. Overall, the Portuguese people were just as beautiful in my opinion as their Spanish neighbors. All the men were dressed in tailored designer suits and the women were all very fashionable as well. I could get used to the people watching! I guess it all makes sense since Brazilians are considered a beautiful culture as well. 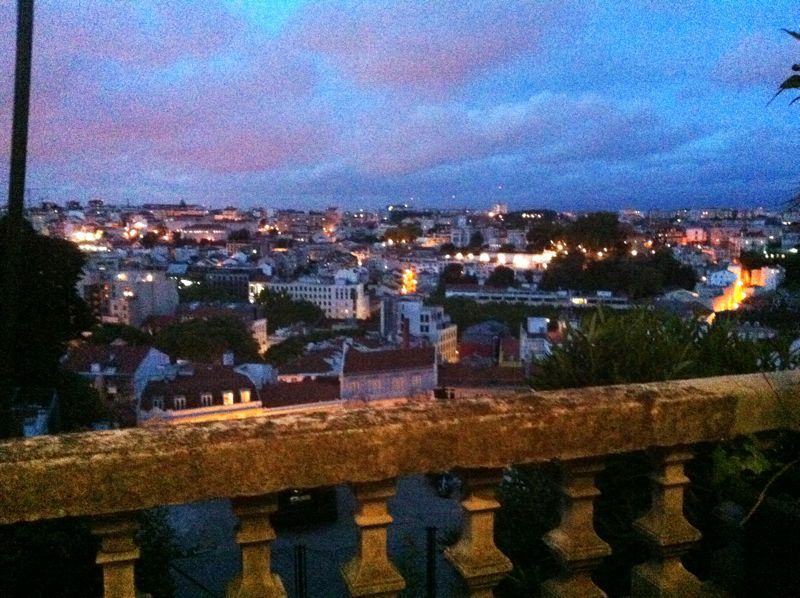 Because of the grandiose hills I mentioned earlier, Lisbon's rooftop restaurant and bar scene is thriving. We were told the atmosphere during the summertime is happening, with many places turning into day clubs with resident DJs. Too bad we were there too early in the spring to experience this, so this means we HAVE to go back, darn it! Although we tried to learn some basic Portuguese, we found it completely different than some of the Spanish and Italian we have picked up over the years. However, despite our lack of decent communication, we managed to find that most of the Portuguese people could speak very great English and assist us with anything we needed to know. Portugal is not technically on the Mediterranean, however, it shares similar traits to regions of Italy and Spain, and is one of the warmest European countries. 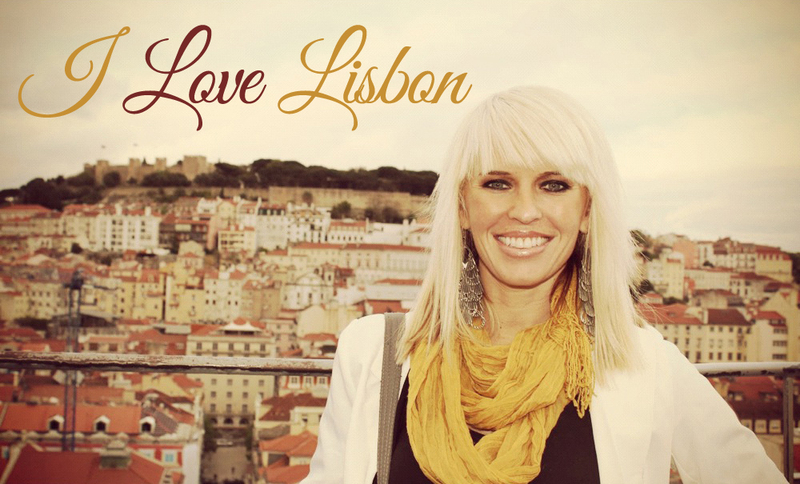 The feel of Lisbon is similar to Barcelona, with palm trees lining the streets and a lovely breeze coming off the water. What made Lisbon more agreeable than Barcelona was their lack of shady street vendors lining the avenues. 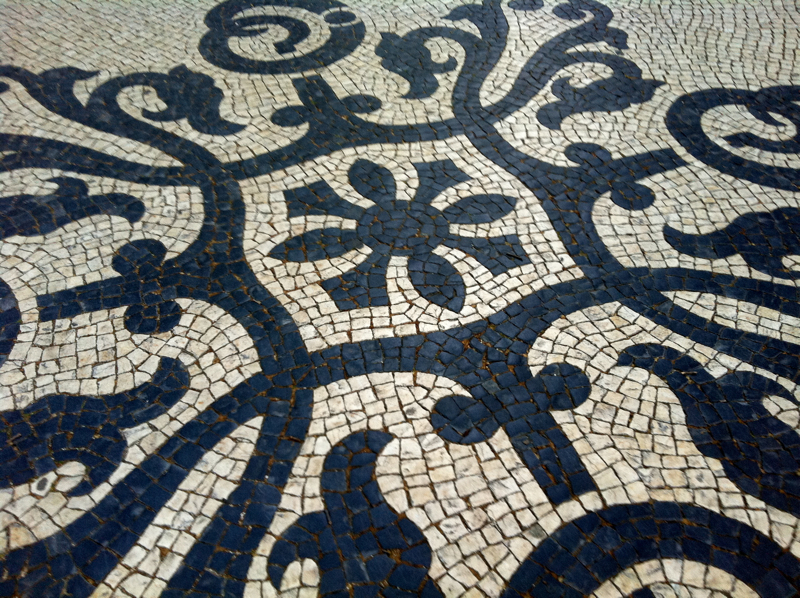 Also known as Portuguese Pavement, the sidewalks hugging most buildings and plazas are laid out in various designs using Tessera stones. What can make an already interesting architectural city pop in photos, is adding in these artful designs at the foot of most monuments. This same pavement can be seen in Portuguese Colonies like Brazil and Macau. The only downfall to this material is that it can be somewhat slippery when wet. Combining that with the hills, it's better to take it slow when heading downhill. At least while you're taking a fall, you will fall in style! Visit Portugal also put us in contact with Vitor at the Lisbon Tourism Office, they couldn't have been friendlier! Viewed 12420 times so far.